As an integral part of supply chain management, logistics plays an important role to keep the supply chain strong. It plans, implements and controls the flow and storage of goods and services in order to meet customer’s requirements. Logistics management cannot be overlooked as it contributes greatly to the success of any company’s operations and has a direct impact on its bottom line. During times when freight volume grows and transportation becomes more complicated, the need for logistics management rises. Thus, training in logistics management is highly felt by organizations nowadays due to the evolving corporate world. Employees with more training can lead to increased profits. It is clear that logistics training is a fundamental factor to successfully manage any company’s operations. Production Logistics – It’s all about streamlining and controlling the flow through the supply chain from point of entry to the end, which is distribution logistics. Production logistics activities are related to organizational concepts, layout planning, production planning, and control. Distribution Logistics – It concerns the delivery of finished products to the customer. Normally, it consists of order processing, warehousing, and transportation. Major sub-sectors within the industry include air, rail, water, and truck transportation, urban transit and ground passenger transportation, warehousing and storage, and motor vehicle repair. Logistics involve the integration of these sub sectors, including information, transportation, inventory, warehousing, material-handling, and packaging. Disposal Logistics – This is also known as reverse logistics, stands for all operations related to the re-use of products and materials. The main purpose of this field is to reduce logistics cost, enhance service, and save natural resources. With an efficient logistics training, a business will certainly benefit by meeting customers’ demand and providing superior service on time. It is important for shippers to provide rapid, precise and quality service to satisfy customer demands and only a good logistics management can help you on this front. This explains the importance of acquiring good logistics training. It is certain that a performing business logistics helps you to take the products to the customer fast and allows you to have a competitive edge over your competitors. The process enables you to fulfil the customer needs in a more efficient manner. Logistics greatly affect the success of any business. Hence, companies should strive to provide shipments of merchandise in a more precise and swift manner than competitors do. A well-executed logistics leads to strong customer relations and loyalty. An effective logistics management will help to deliver your products to your customer in a proficient manner. This allows you to build good consumer relations. Not only does it brings immediate monetary gain but also reinforces good customer relations and ensures long-term business. Another functionality of Logistics is not only to take products to customers but also brings the raw materials needed for the manufacturing process. To ensure a regular and orderly output, it is important to have enough raw materials available to manufacture the products. Besides, having enough products stocked is also necessary to make sure that you have enough supply to anticipate unexpected demands and to maximize customer satisfaction. Proper logistics management ensures that your inventory is tracked, transported, stored and manufactured in a way that accommodates all of an organization’s departments. Therefore, logistics helps control this flow so that company’s plans and goals can be achieved. Logistics management creates visibility into a company’s supply chain. For instance, advanced transportation management systems (TMS) analyze historical data and track real-time movement of goods into and out of a business. Thus, logistics managers can use this information for process optimization and avoiding potential disruptions. How to train your employees for effective logistics management? An effective training and development program can greatly improve logistics management within a company. Relevant skills and knowledge are critical to run logistics efficiently. 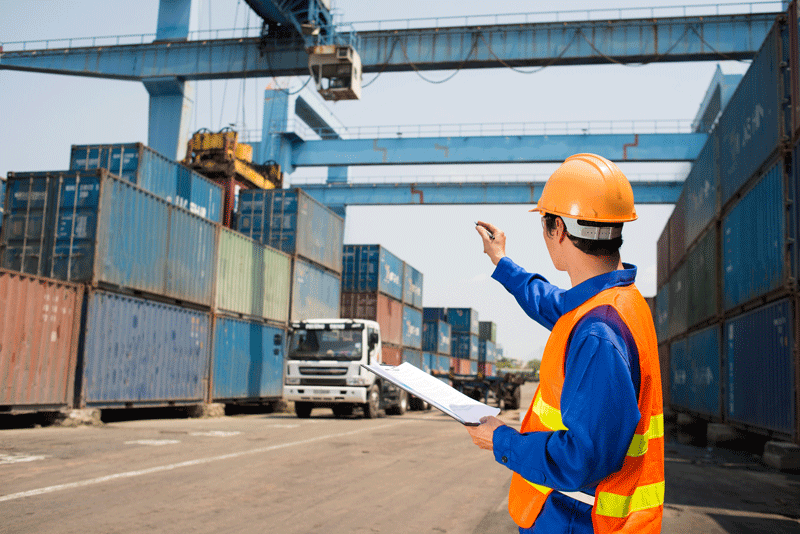 Logistics training programs usually cover subjects such as management, managerial decision-making, distribution and logistics and supply chain management. It is up to companies to opt for training and development programs that guarantees positive outcomes. Such training can help improve your logistics and therefore lead to smooth and efficient operations. Appropriate logistics management results into increased revenue. Improved customer service can bring a good reputation to a company’s brand and generate more business, and supply chain visibility creates opportunity for major cost savings in operations. Additionally, logistics management will give a company control over inbound freight, keep inventory at optimal levels, organize the reverse flow of goods, and utilize freight moves on the proper transportation modes – all of which can cut costs significantly. No matter the size of a business, the concern for logistics can significantly affect the supply chain. It requires professional management. Supply chain professionals need to have the necessary skills and knowledge to run the supply chain smoothly. This is why businesses need to invest in proper training and development. The field of logistics, for instance, definitely requires an efficient training since it can directly affect the bottom-line of an organization.